The winners of the third annual The Australian Innovation Challenge were announced on Thursday, recognising Australians who showcased their innovative ideas in the fields of Environment, Agriculture and Food; Health; Community Services; Minerals and Energy; Manufacturing and Hi-tech Design; Information and Communication Technology; and Education. Each category winner received $5000, overall winner received $25,000 and the Backyard Innovation category winner received $10,000. Michelle McIntosh of Monash University won the overall award for leading a team of scientists in devising a new inhalant delivery system for a form of a hormone that will reduce haemorrhage after birth. Joe Wagner won in the Manufacturing category, besting four other finalists with his earth-friendly concrete. 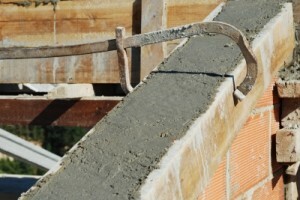 According to a feature on The Australian Mr. Wagner’s company developed a new type of concrete based on a cement-like material made by combining slag and fly ash. Slag is a by-product of smelting in iron and steel making, while fly ash is waste product of coal-fired power stations. The material is a binder that will replace Portland cement, which is carbon-emissions intensive. Research into alternative binders has been undertaken in recent years and Mr. Wagner says tests conducted by RMIT University validated earth-friendly concrete on key durability performance indicators. The company’s concrete division produces the binder at its Toowoomba headquarters, where it treats the slag and fly ash in an alkaline solution. The concrete is used at the request of clients at its Brisbane precast facility and on jobs it does with its mobile batching plants. Wagner hopes to penetrate the Middle East market where infrastructure is booming. “It would be an excellent solution to subterranean structures such as road and rail tunnel linings and water and sewer tunnels, as well as footings,” Mr. Wagner said. The other finalists in the Manufacturing category are Frank Will for SafeRide, Neil Radford for his Single layer dielectric ceramic capacitors, Jane Burry’s Fabpod: Harnessing ICT to design and build the chimerical and Brian Bambach’s Supa-Stelth Pump. In a media release Minister for Industry Ian Macfarlane congratulated the winners and Shell Australia for its support of the Challenge. “All finalists in the Challenge can be proud of their efforts and many of these ideas have huge export potential. Many will go onto commercialisation and be among industry’s next success stories, creating economic and social benefits for Australia,” Mr. Macfarlane said.